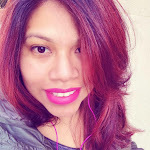 Today I'm a rollercoaster of emotions, from feeling sad to happy and lonely to full of pride. It's funny because I've already done this once, the dropping off your child at school for the first time and even though I thought it would be easier, it was truly harder than the first time. 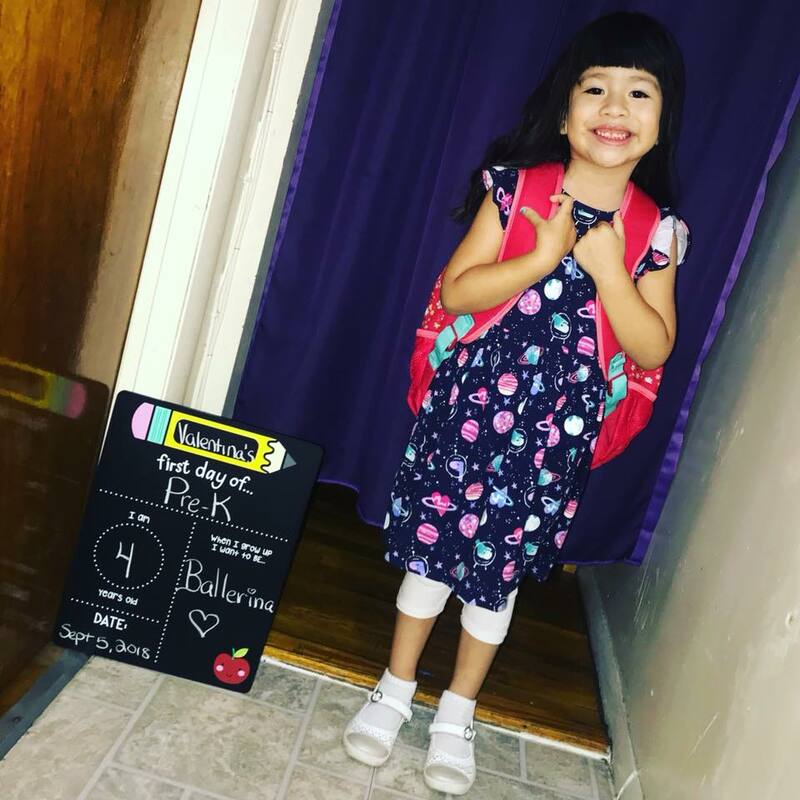 I don't remember crying so much, tears did come down when Miguel stayed for his first day of school but with Valentina there were tears before her first day of school. I kept marking the days on the calendar and as soon as it hit 3 more days left for school, the tears couldn't stop coming. Every time Valentina fell asleep and husband got home from work the sobs would come in waves, i'd relax but the next night it would happen again. It was the night before the first day of school and my heart was feeling a little bit heavy, baby girl had been crying about not wanting to go to school. The didn't want to leave our side, and it was so hard to hold in those tears because you better believe that I wanted to start sobbing with her as well but y happy face had to go on and it was time to reassure her that school would be great, full of lots of art, play, and learning. As we woke up for the first day of school, Valentina kept on talking about how excited she felt. Good thing for us was that Wednesday and Thursday would be one hour with us parents in the classroom, her first full day from 8:20am-2:20pm would be Friday. Off we went walking to school, and the verdict on that first day was that school was ok. Valentina kept asking me when was the day that she would stay by herself with her classmates and teachers. I reassured her that we still had one more day together in the classroom and those two nights I slept pretty good but once Thursday night got here, the sobs came again. Valentina would officially leave my side. It was hard to imagine running around without her by my side and holding my hard, the sobs were on full force. Husband had to reassure me that everything would be ok and she wouldn't cry. Valentina is our strong willed girl after all, and we were sure that she would be fine come the first full day of school. It was time to count down the hours, and one thing helping me out was being able to take my first Yoga class. It was the perfect timing, what better time to try something new then when your baby girl was out there trying something new as well. A very spiritual moment for sure. 2:20pm came and as I anxiously awaited to see Valentinas little face, it hit me that my baby girl was not a baby anymore, she was officially my big girl. Her little face came into view and she was all smiles, her day was full of songs, art and friends. Her little hand in my hand felt good, and I loved listening to her tell me about her first day of school. 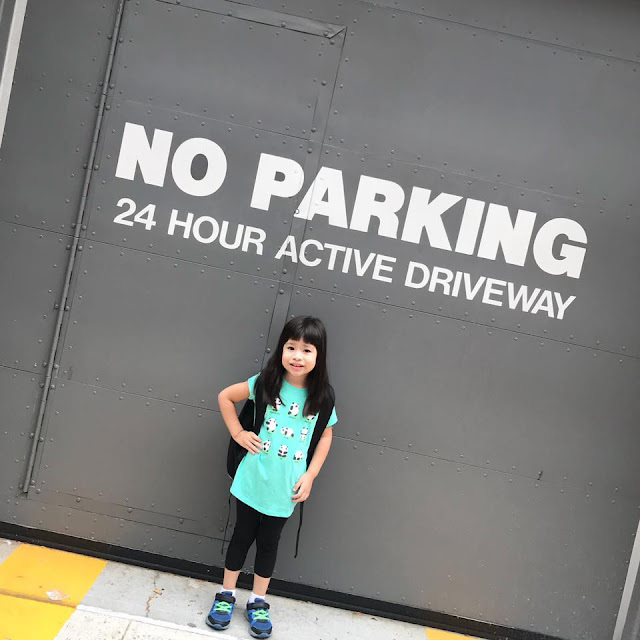 Thus began this new chapter in our lives, the one where I get to walk with Valentina to and from school, listen to her adventures, dreams and little jokes. Life is great, life is a blessing and I couldn't be more happier with how her first day of school went. Hoping all of your kids first days of school were great ones.